Leon, Tony, Darren Gargette and Josh review Nintendo Software Planning and Development’s (so far) trilogy of Rhythm Tengoku/Heaven/Paradise games for Game Boy Advance, DS and Wii. The rhythm action genre was born, to all intents and purposes, in 1996 with NaNaOn Sha’s delightful Parappa the Rapper. The so-called BeMani craze evolved with increasingly elaborate mechanics and peripherals, however in 2006 Nintendo took the genre ‘back to basics’ with a minimalist, pocket friendly take on perfectly timed button pressing in Rhythm Tengoku. The panel also take a look back at the rhythm action genre as a whole and where this series fits in. Plus of course we share your forum posts and Three Word Reviews. Cane & Rinse 45 was edited by James Carter. Like the sound of the wii game? Have a crispy £10 note in your pocket? you'll even get 2p change! That's a bargain right there: nice spot! I'll also post this in the Deals thread. ratsoalbion wrote: That's a bargain right there: nice spot! I was looking for that but couldn't see it! Ya'll gotta play this. It's as close as we're gonna get to a non-Nintendo developed Rhythm Heaven game! dezm0nd wrote: Ya'll gotta play this. 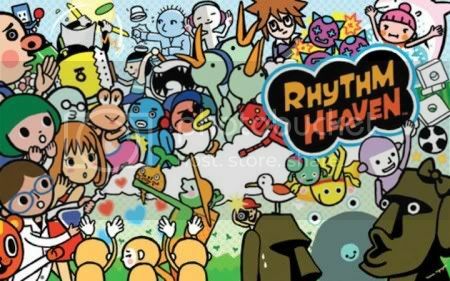 It's as close as we're gonna get to a non-Nintendo developed Rhythm Heaven game! Oh no. Here's wishing Tsunku-san a speedy and full recovery. Look who turns up in Smash Bros for 3DS as a pesky little trouble maker.